This Medic First course complies with OSHA as one of several First Aid courses that are acceptable to OSHA. The advantage of the Medic First course structure is that attendees obtain a two-year First Aid and CPR for both components. 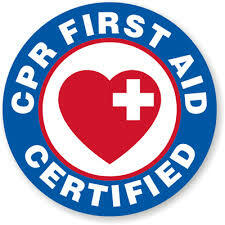 Some other First Aid/CPR courses have a one-year CPR cycle. Course also includes the OSHA Bloodborne Pathogens regulation as it may apply to construction activities. This course is a CDC approved refresher when both parts are taken. Tuition fees are directly paid for by the Carpenters' District Council for craftworkers in good standing. AGC will invoice the union on behalf of the registrant. For those not paid for by District Council, the cost for AGC members is $55 and non members is $165.